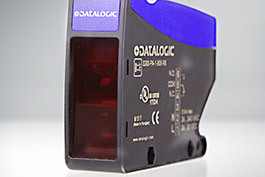 The manufacturer DATALOGIC is characterized by its products that meet high quality standards. Simply see for yourself: in our assortment you will find selected inductive sensors and light barriers at a fair price. The Italian company DATALOGIC, headquartered in Bologna was founded in 1972 and is a global leader in automatic data acquisition as well as industrial automation technology. 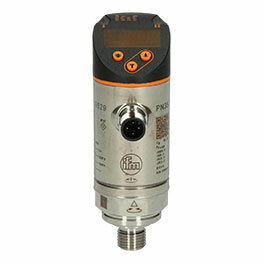 In the founding year, the company began with the production of optical sensors. In 1974 the first branch was established in Germany. Japan and the United States followed shortly thereafter. During the late 70s, DATALOGIC branches were established throughout Europe and from the 80s DATALOGIC offices were distributed worldwide. Today, the company accounts for more than 30 offices worldwide. The business philosophy of the company is based on customer satisfaction through high product quality and respect for the environment. DATALOGIC advances the technology of its products continuously in order to always maintain an up to date production status as well as to meet the customer needs. To this end, the company bestows great importance to the environmentally friendly production of its products, which is confirmed by the ISO 14001 certification standards adhered to. All DATALOGIC products are subjected to ISO 9001 certification processes, so that a high quality standard of the products is guaranteed. In the Automation24 online shop you can choose from the categories Position sensors and Inductive sensors to find DATALOGIC products at top prices, for example, the Retro-Reflective sensor 951451530 - S300-PA-1-B06-RX. See the excellent quality of DATALOGIC products for yourself and benefit from an accurate positioning of your processes. Take advantage now in order to receive the goods! If you have further questions, please feel free to contact our knowledgeable customer service via email, fax, phone or online chat.